The Florida Keys are known for their beautiful location wedged between the Gulf of Mexico and the Atlantic Ocean. If you don’t spend some time enjoying the water you missed out. An excellent way to enjoy the ocean is with a dolphin eco tour. To swim with the dolphins in the Florida Keys is a rare event. Make sure to book a dolphin ecotour through a reputable operation. Avoid any company that uses artificial methods, like feeding, to attract the dolphins. There are numerous ecotours you can take while in the Keys, from kayaking to seaplane rides. While in town one of the best things to see and do is to simply walk around and explore. The old conch houses and buildings in Key West have a unique architecture that is all their own. 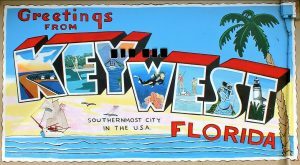 The town of Key West has a fun history and the structures are current records of times past. Many of the old buildings are now restaurants, stores, and bars. These are easy to see, but touring the inside of homes is obviously more difficult. There are, however, some homes open for viewing including the home of Ernest Hemingway and Truman’s Little White House. 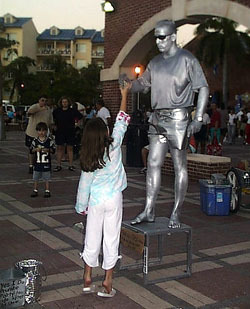 Mallory Square Sunset Celebration – The sunset celebration at Mallory Square is the best in the country. Make sure that you make it to Mallory Square an hour or so before the sunset to watch the performers and then to take in the most breathtaking sunset you will ever experience. If Key West only had this sunset it would still be worth the trip. – bring a pocket of dollar bills for the performers. Hemingway House – If you are a fan of the great American author Ernest Hemingway, or you are interested in viewing a beautiful Key West home from another era, you must visit this place. The tour is worth it just to see the six toed cats. 907 Whitehead St. Modest admission price. Light House Military Museum – This fun museum is only a short stroll from the Hemingway House. 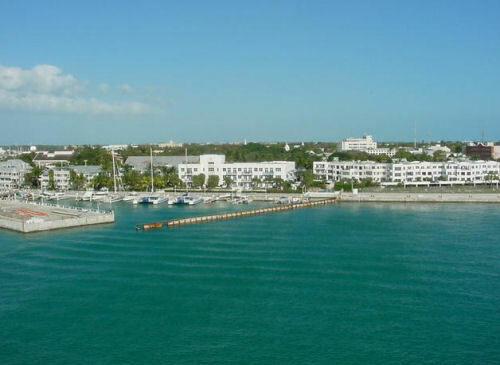 You can still walk the almost 90 stairs to the top to get a birds eye view of Key West. Fort Taylor – This fort was started in 1845 and was adapted over the years before eventually being abandoned. It was restored in the 1960s and is now a state park. From this park you can watch the sunset or swim from the beach. 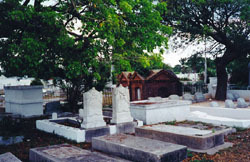 When Florida left the Union on January 13, 1861 federal troops immediately occupied this fort and held Key West for the Union making it the only city in the Confederacy to be held by the Federals. Chicken Store – The chickens of Key Westonly add to fun. Make sure to stop by the Chicken Store on Duval Street where live chickens walk through the store. Buy something to help save the chickens of Key West. Conch Train – If you can’t make the walk around Key West, or if you just want to get off of your feet for a while, the Conch Train is the best way to see the city. The tour guides are entertaining and informative. Audubon House – The Audubon House has 28 original works from the artist John James Audubon. View the artwork and then tour the one acre garden. 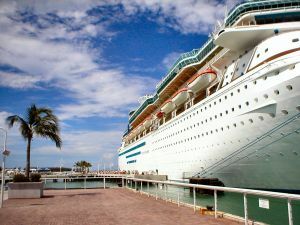 Fun on the water – There are dozens of things to do on the water in Key West. Some favorites are to take a snorkeling trip that ends in a sunset sail, or to swim with dolphins. Everything you might want to do in Florida can be done in Key West from parasailing to kayaking to fishing.